Our family has been providing fire protection services to California businesses of all sizes since 1974. We leverage every minute of that experience to ensure that you and your teams stay safe. Your business is a big part of your life, and a major fire incident can wipe out years of work in a moment if you’re not properly prepared. Your safety is always our highest priority. The biggest brands in the country trust our fire protection professionals, from McDonald’s and Taco Bell to Google and Facebook. While these large brands are highly recognized in the world, look around your area. There’s a good chance that we already work with businesses of all sizes near you, too. We provide each customer with the same stable and trusted service and solid relationship that you deserve from your fire protection agency. Our specialists always stay up-to-date with the latest technology that helps keep your business secure. That includes ongoing education and constant review from our teams to ensure that we hear and share the latest research that will save time in the event of a fire. We always consider both state and local codes when making recommendations or doing the actual work. You can be confident in the products and services you receive from AAA. There are not many companies today who truly understand the value of personalized service. 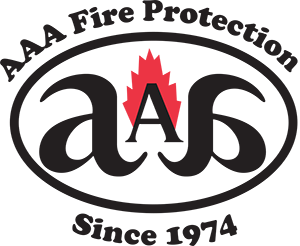 You’ll find that the professionals at AAA Fire Protection not only have quick access to your business details, but they actually care. They want you to be successful. They want your business to thrive. And they want to save you money whenever possible. That’s why our customer retention is exceptional, with many clients staying with us for generations. 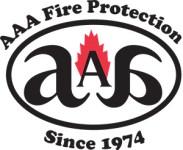 Keeping your business protected takes a village, and AAA Fire Protection is there to support the people and assets that are important to you. We take pride in being a partner in your business – we just happen to focus on fire protection! We are passionate about making sure you can focus on your business, and leave the business of fire protection to our well-qualified teams. We are always available in the event of an emergency. Simply call our 24/7 line at 855-778-7807. You’ll be pleasantly surprised to find that whoever answers the phone will have the details of your business and can immediately get you the help that you need. We firmly believe that there are no shortcuts when it comes to fire protection. Call our experts today to gain the peace of mind that you deserve.